http://betterhomestead.com/the-urbanites-guide-to-living-and-cooking-like-youre-off-the-grid/?share=pinterest check this Organizing Service Contract Act (SCA) workers is a priority for the IAM. Service Contracts are a rapidly growing segment of the private sector workforce with hundreds of thousands of employees working for minimum wages and benefits. These employees deserve better pay, benefits, job security and respect, and the IAM can deliver. Service contracts employee a wide range of professions and skill sets. 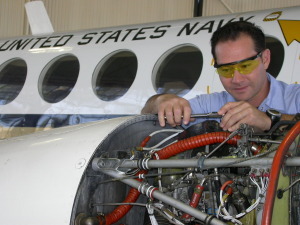 The IAM represents Aircraft Mechanics, Electronics Technicians, Custodians, Computer Operators, Heavy Equipment Mechanics, Fuel Truck Drivers and many other occupations on bases throughout the country. We represent the workers who provide logistical support and fueling for the VIP Fleet at Andrews Air Force Base, including Air Force One. Our members work on Military Installations, Federal Buildings, Veterans Hospitals, National Forests and Parks, and FAA facilities just to name a few. We represent more SCA employees than any other union in North America. What’s the secret to our success? The Service Contract Act provides that employees must be paid not less than the wages and fringe benefits for their Area Wage Determination (AWD) set by the Department of Labor. But the key is this — Section 4(c) of the SCA allows for the wages, benefits and working conditions to be set by union bargaining. This means that union-bargained wages and benefits replace the AWD. Furthermore, any would-be employer has to honor the new wage and benefit rates when they bid on the government contract, and, they must abide by the contract if they win the award. So make the smart choice! Join our thousands of SCA members currently working for companies like URS/AECOM, CSRA, L3 Vertex, PKL Services, Cubic, PAE, DS2, DRG, DynCorp, M7, Sikorsky, Chugach, Fidelity Technologies, SSI, Pulau, LB&B Associates and many more. Click the “Contact Us” button and get in touch today!